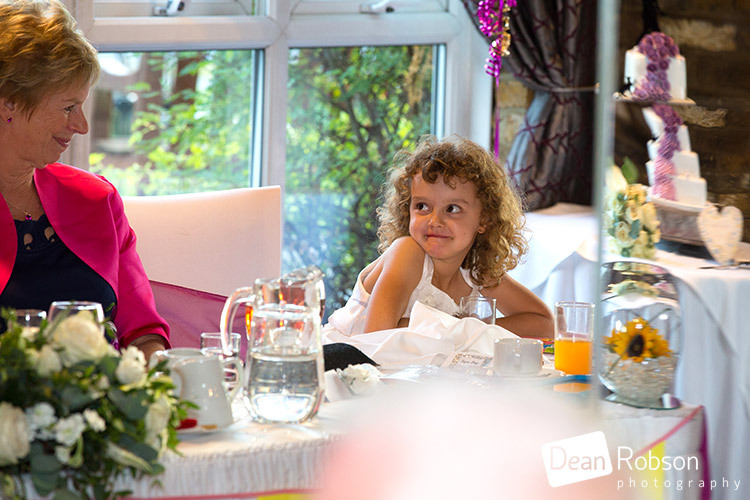 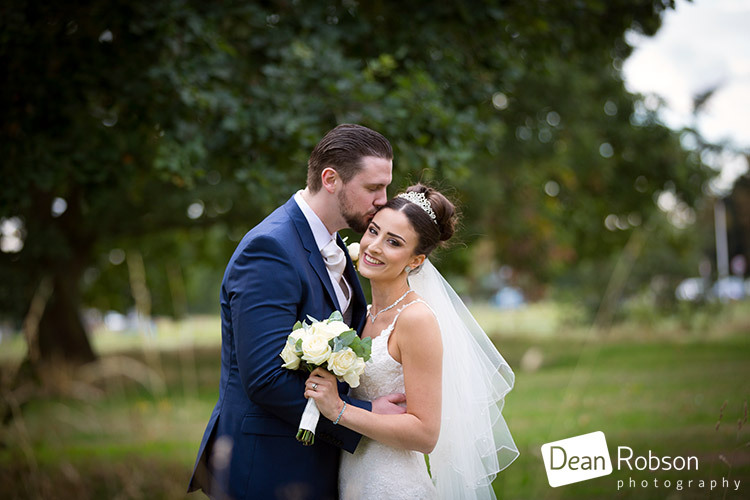 Hunters Meet Wedding Photography Autumn: On Friday I photographed Charis and Jamie’s wedding at Hunters Meet (https://huntersmeet.co.uk/) in Hatfield Heath, Essex where I am a recommended supplier. 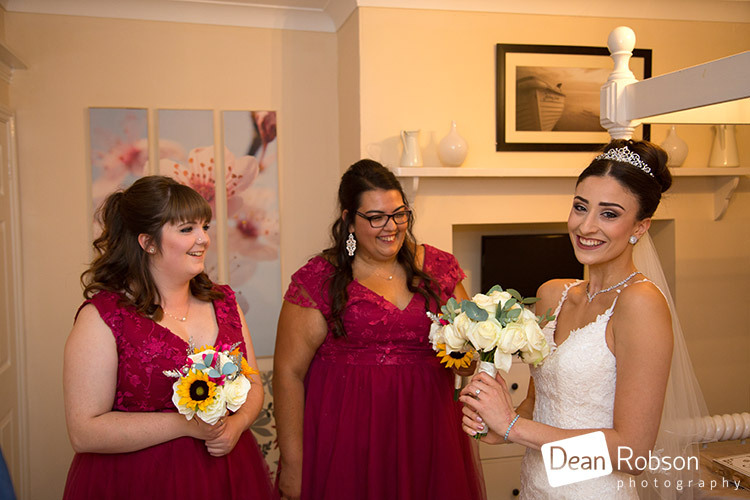 I arrived at Hunters Meet and met up with the bridal party who were getting ready in wedding suite. 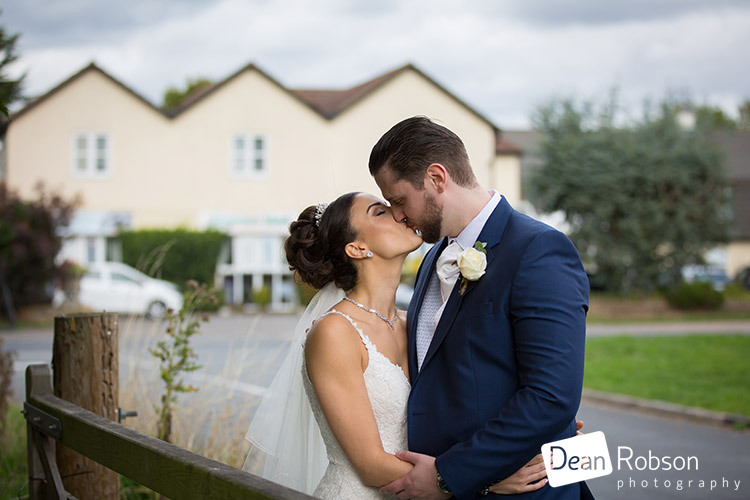 The forecast was warm, cloudy with sunny intervals. 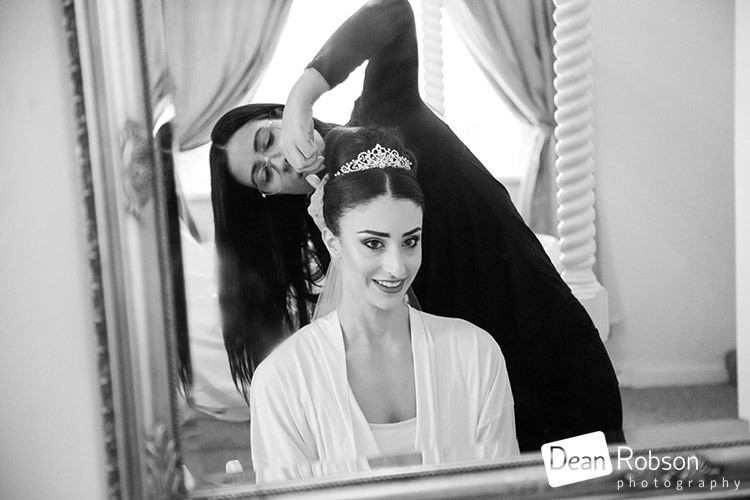 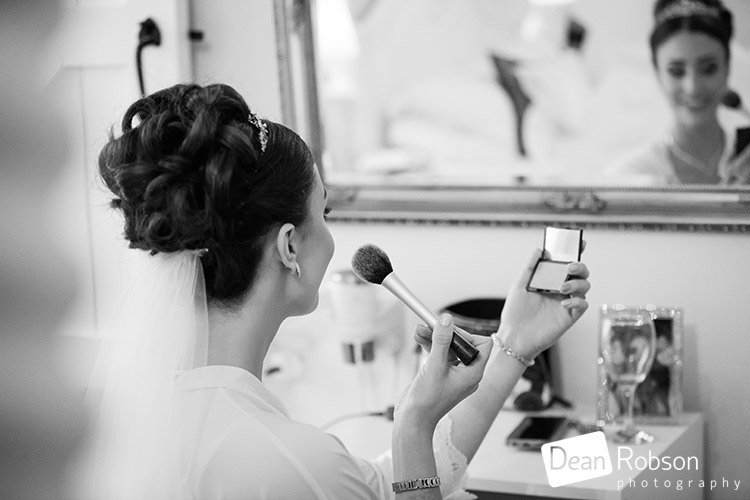 My aim was to capture the wedding story through my photographs. 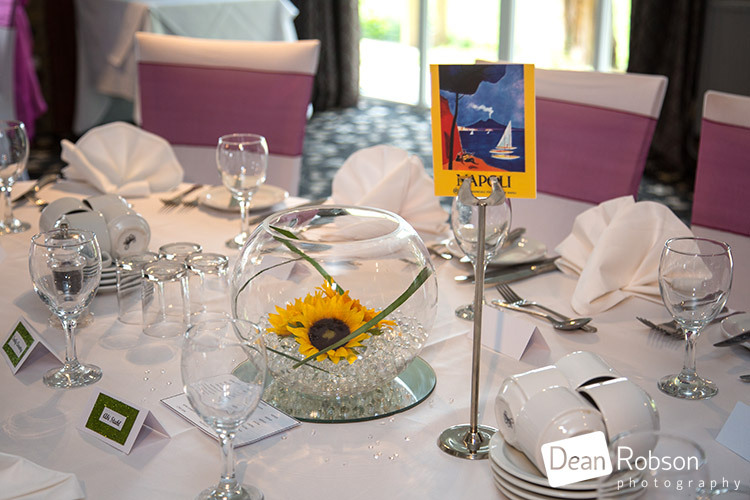 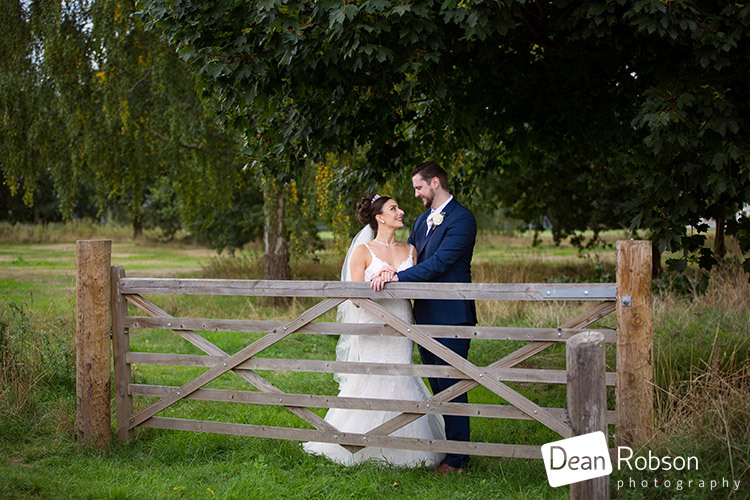 Hunters Meet is situated in the picturesque village of Hatfield Heath, surrounded by beautiful English Country Side. 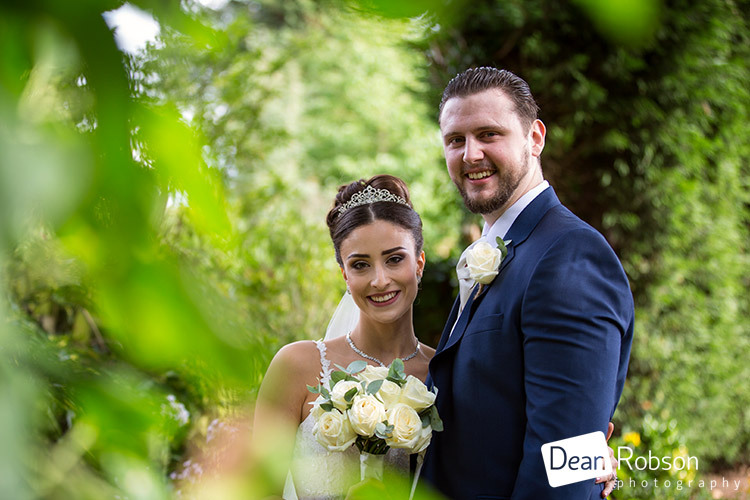 The venue has it’s own private garden, as well as easy access to the heath which means there are great opportunities for photographs. 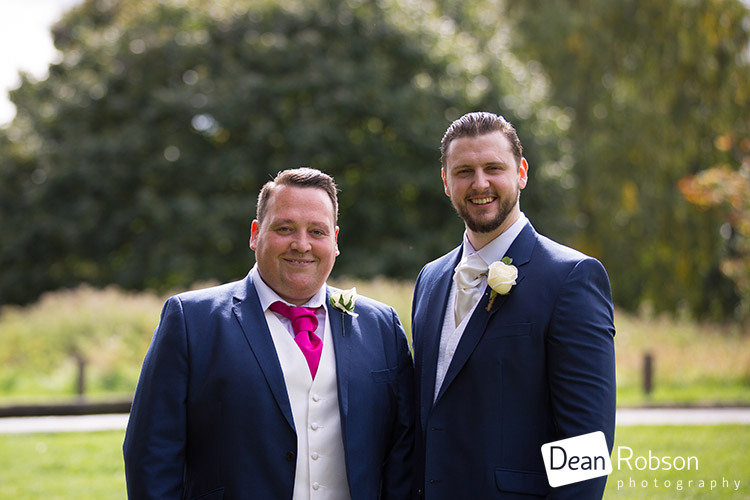 The groom and bestman arrived and we had a few photos out on the heath. 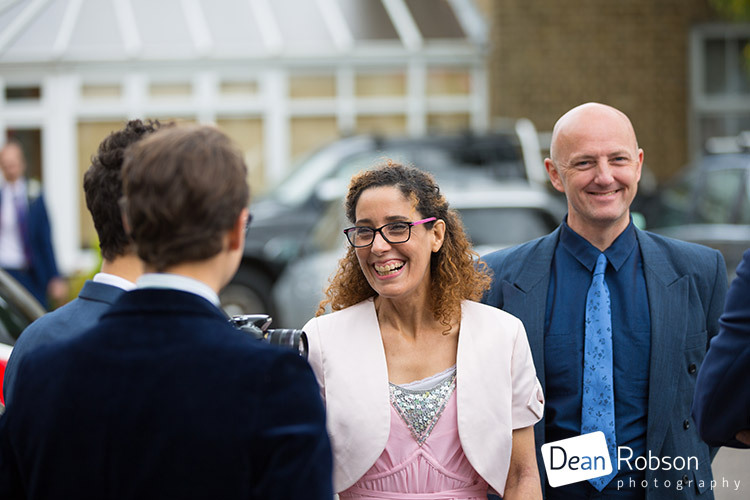 The guests started to arrive. 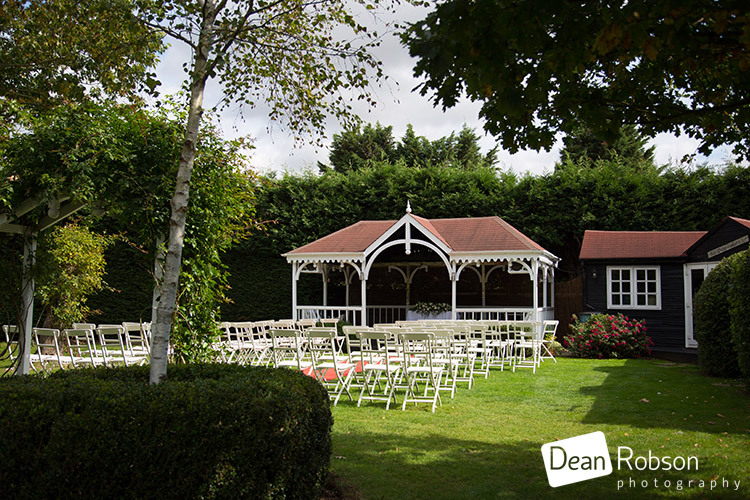 The ceremony took place outside in the lovely garden area. 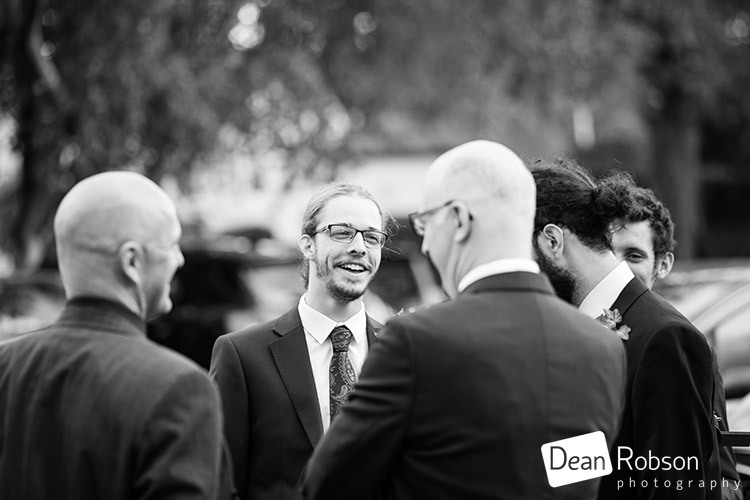 After the ceremony I took some candids, as well as a few family and friend group shots. 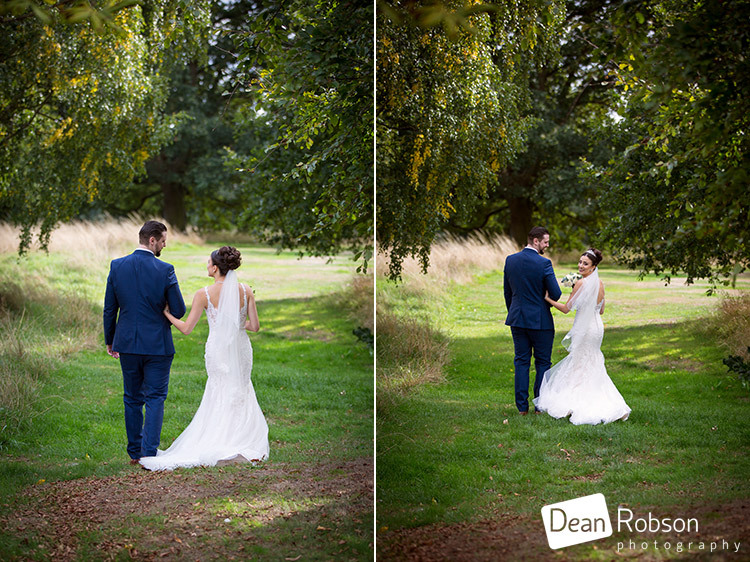 I took the couple around the garden area before heading across to the heath for some wedding portraits. 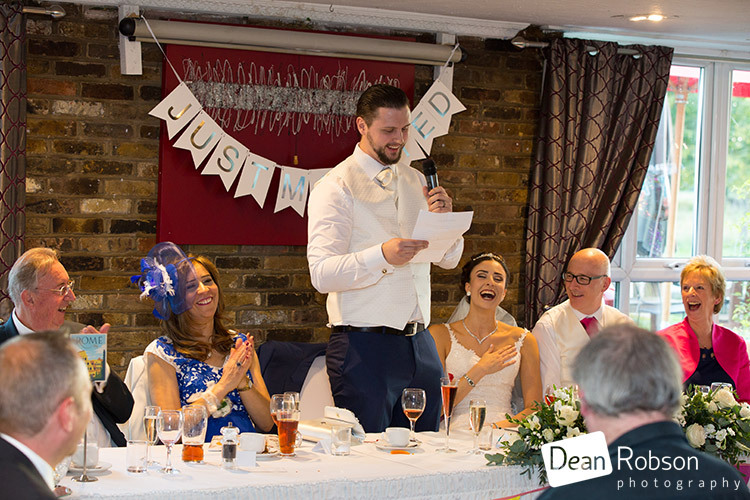 It was then time for the wedding breakfast and the speeches. 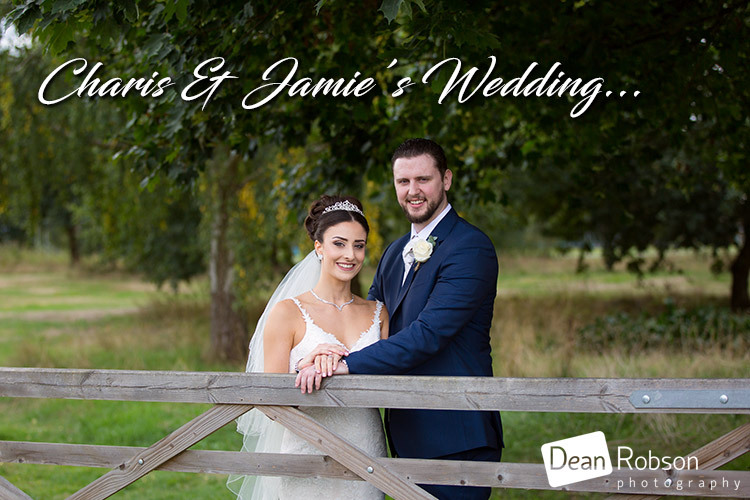 I had a lovely day with Charis and Jamie, and wish them all the happiness for their future together. 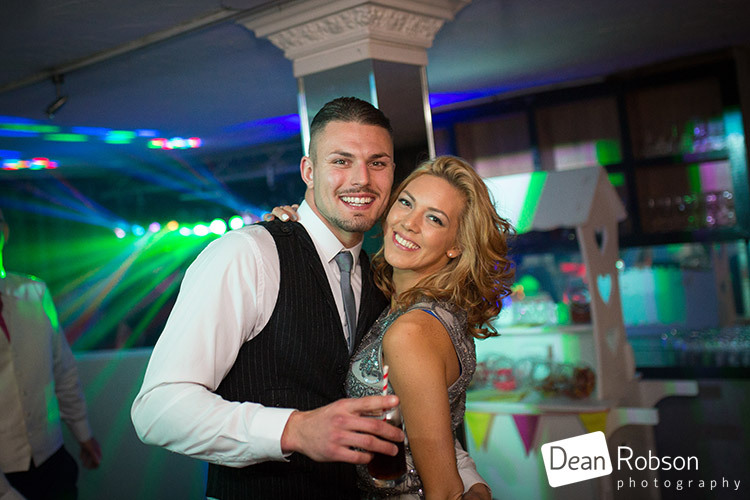 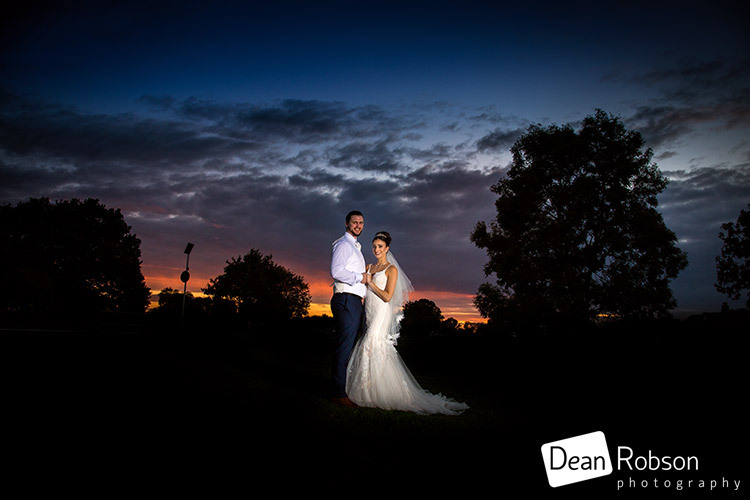 It was great working with Brendan, Nicola and the team at Hunters Meet! 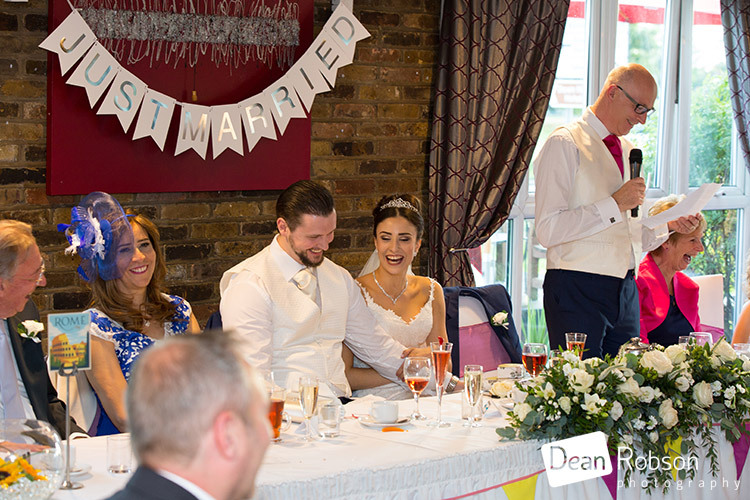 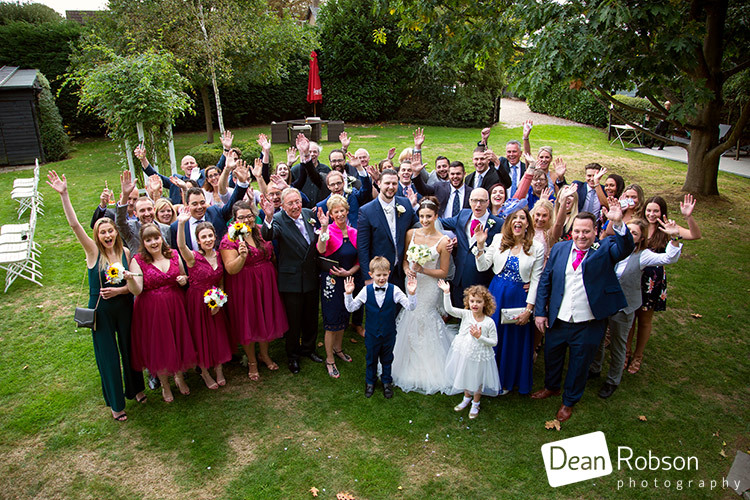 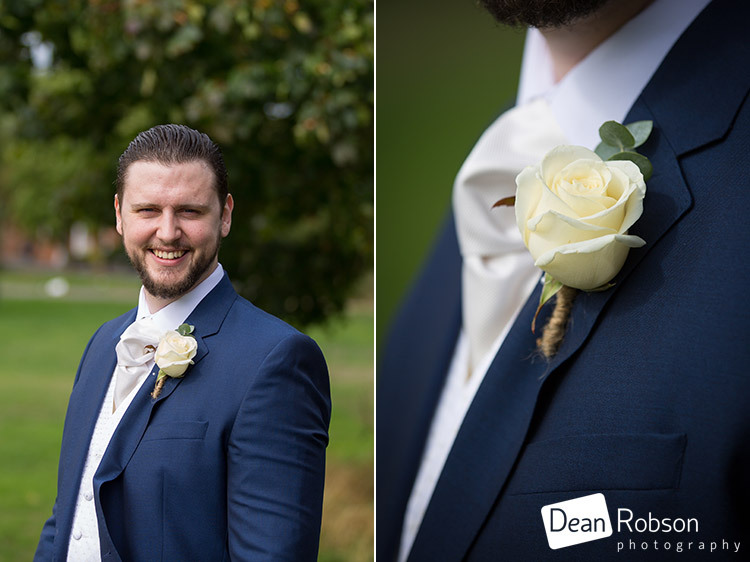 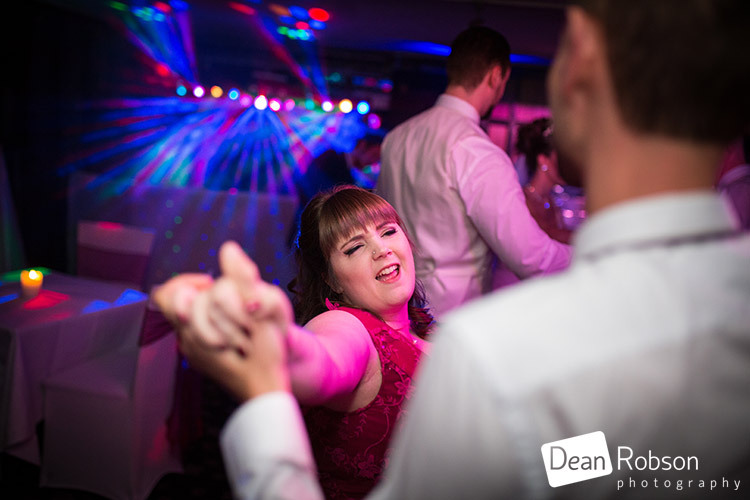 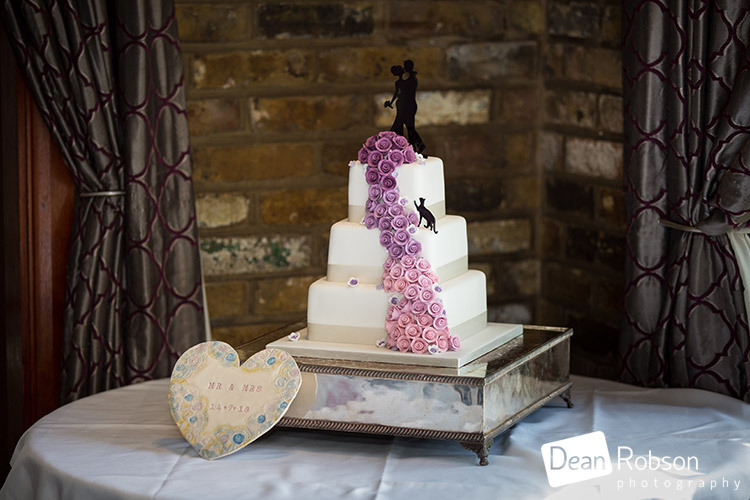 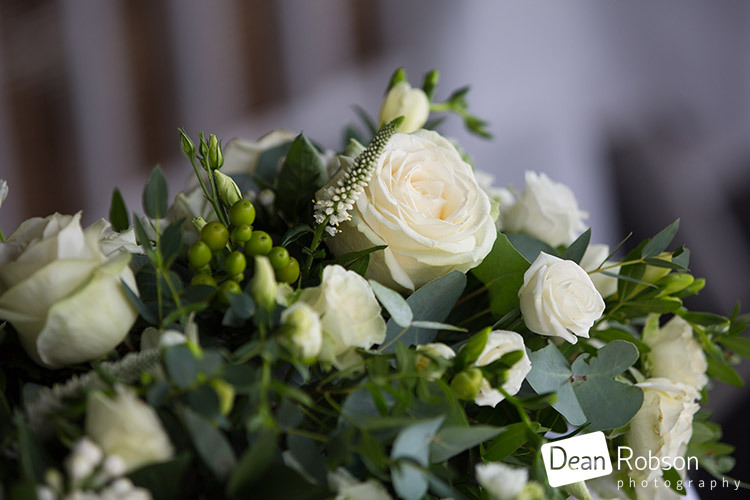 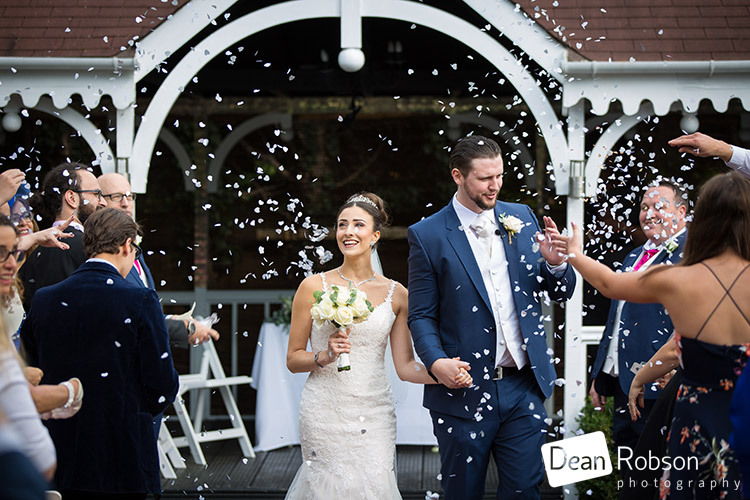 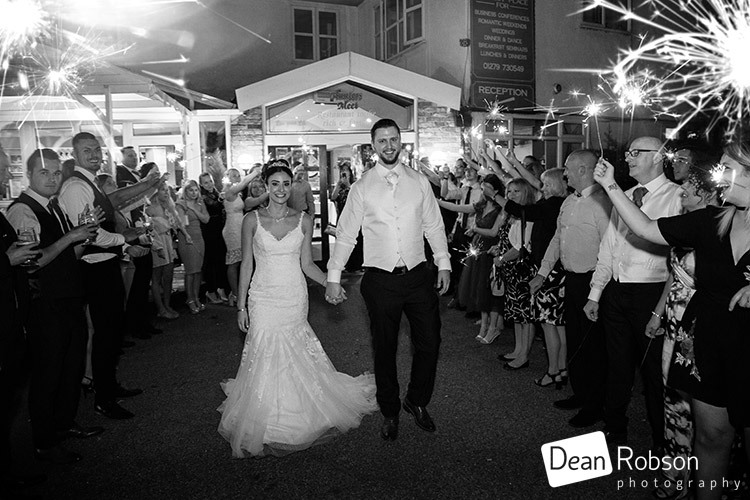 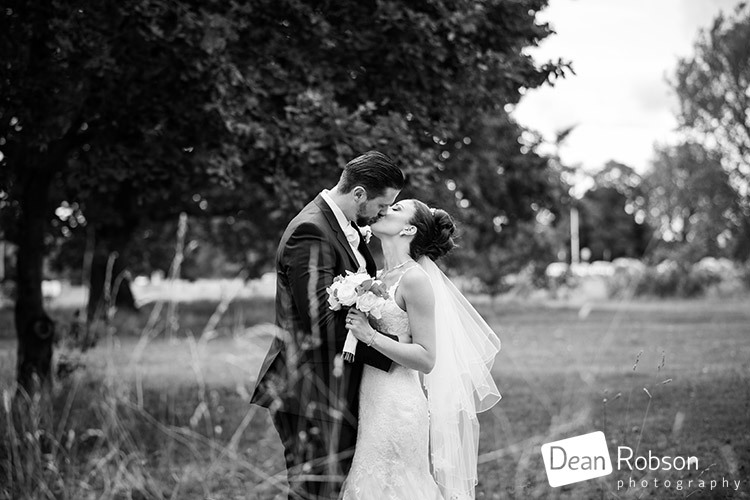 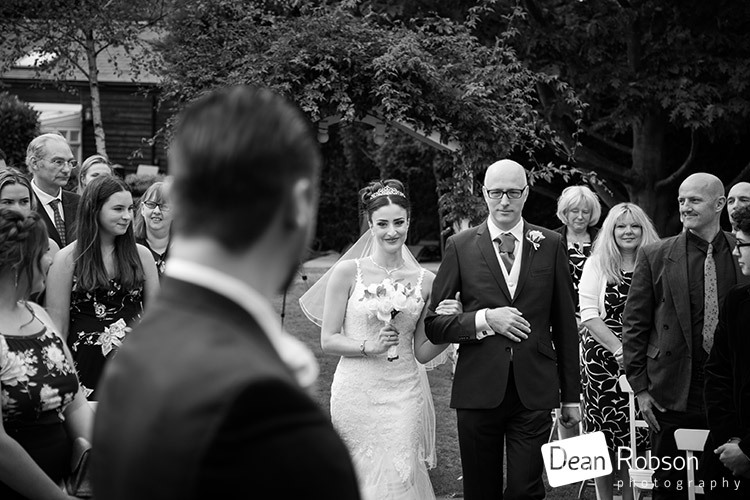 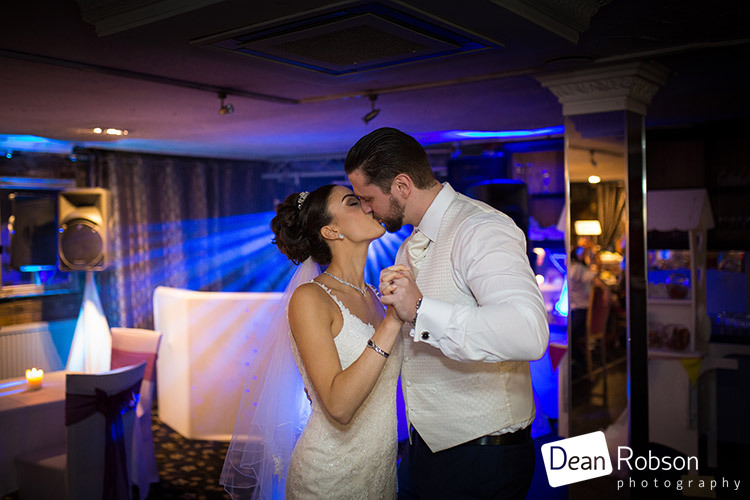 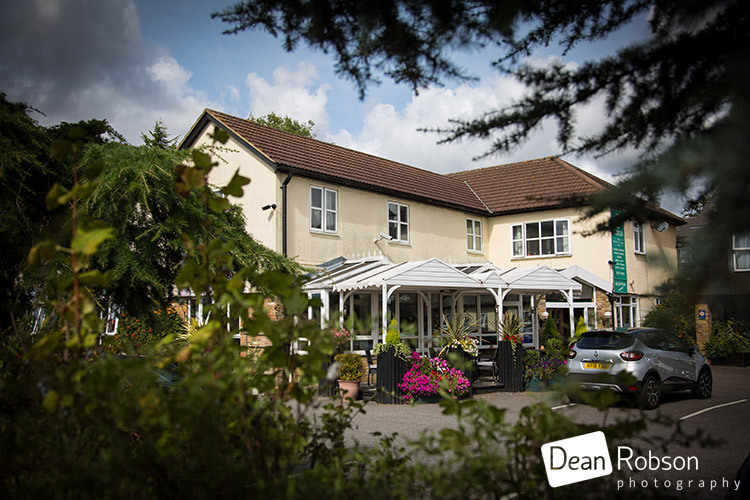 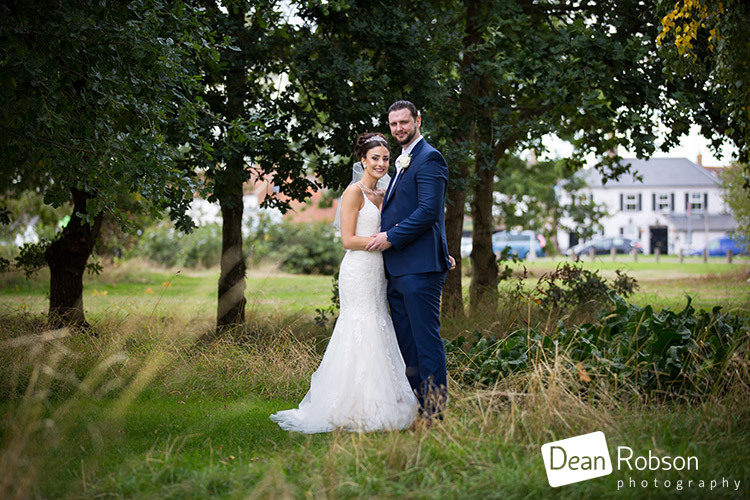 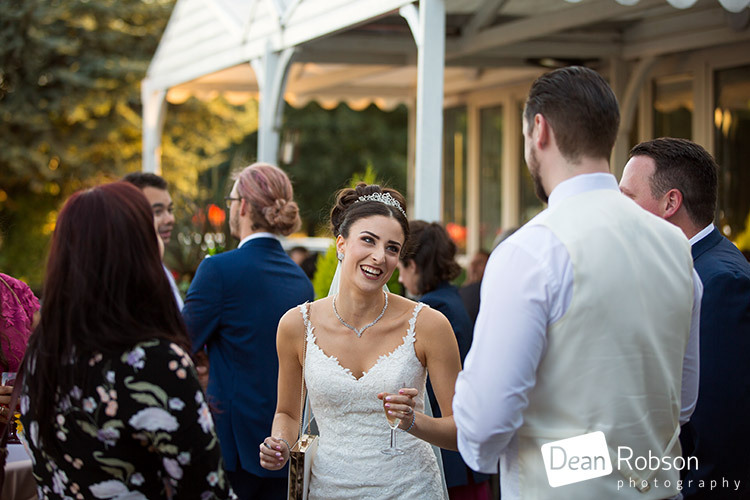 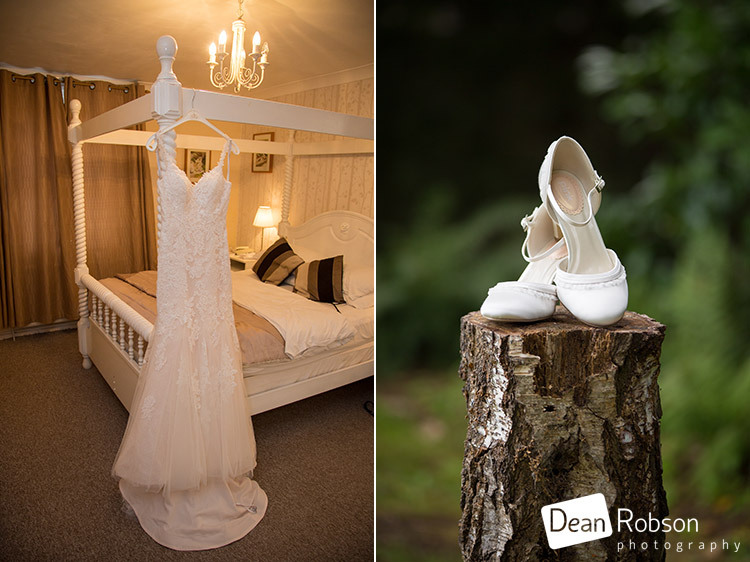 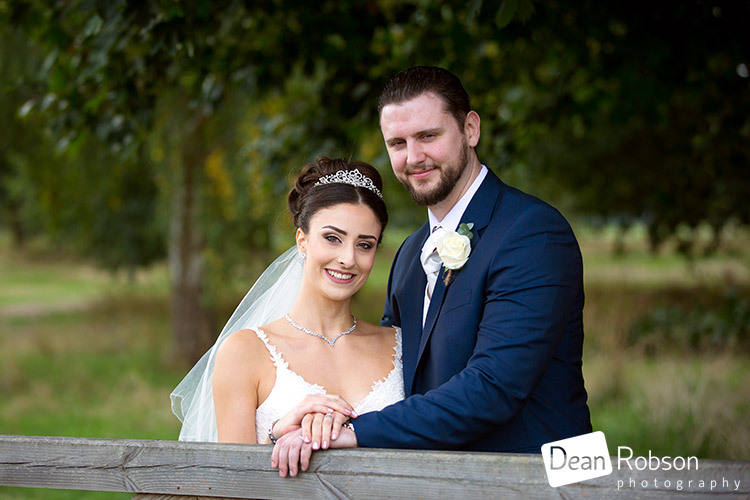 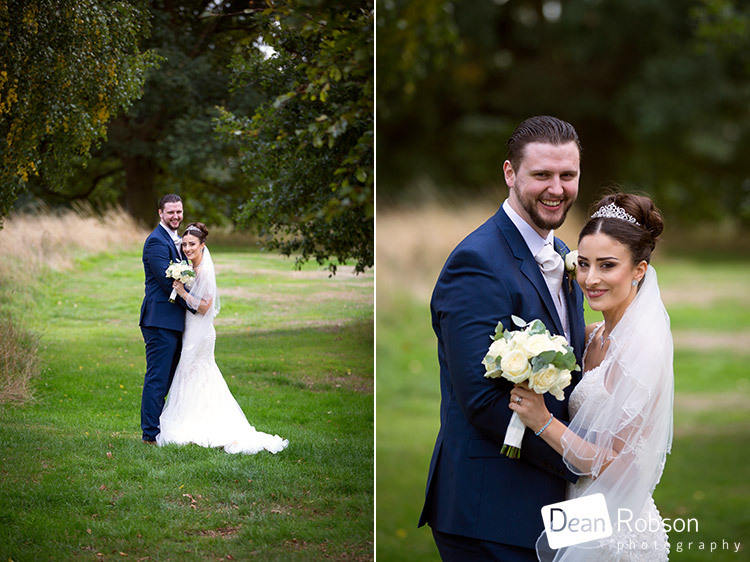 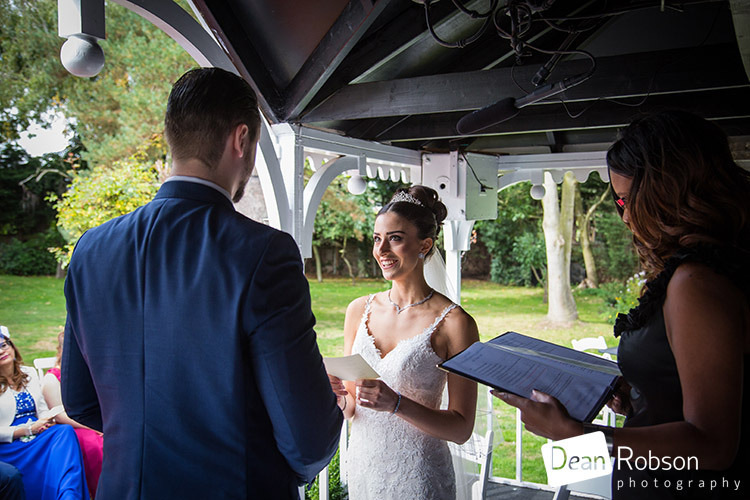 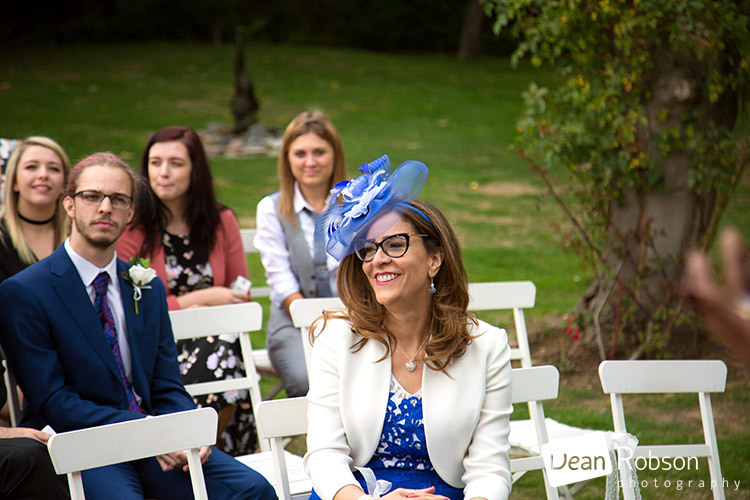 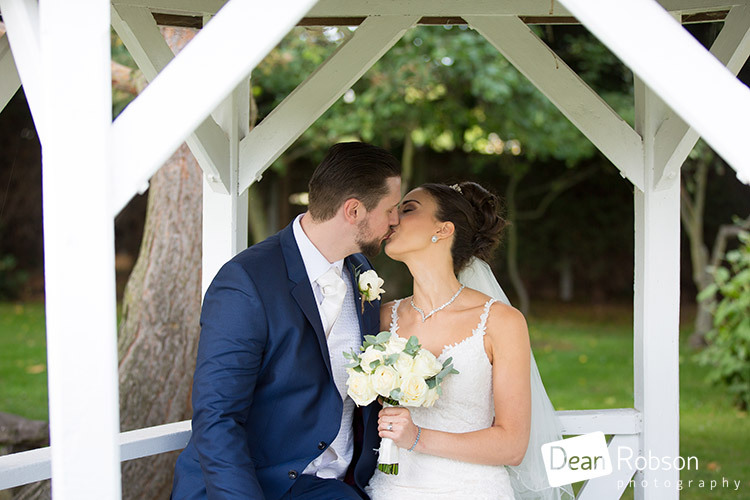 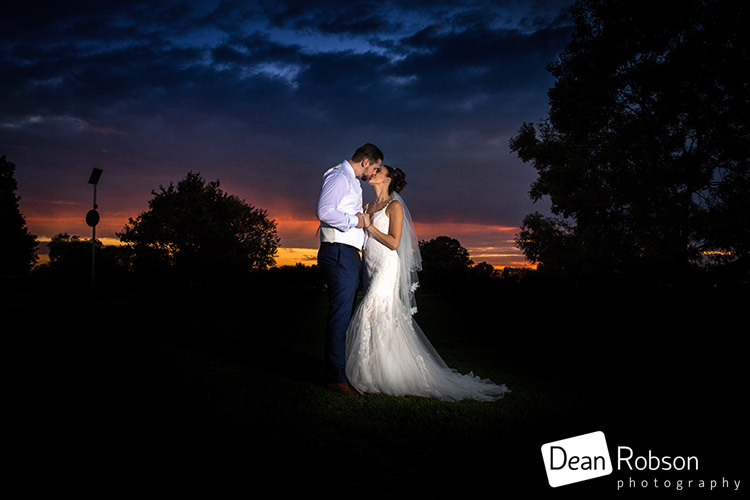 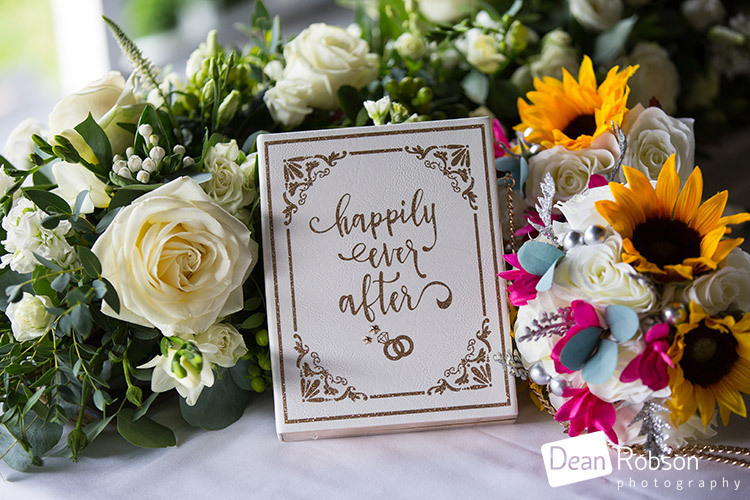 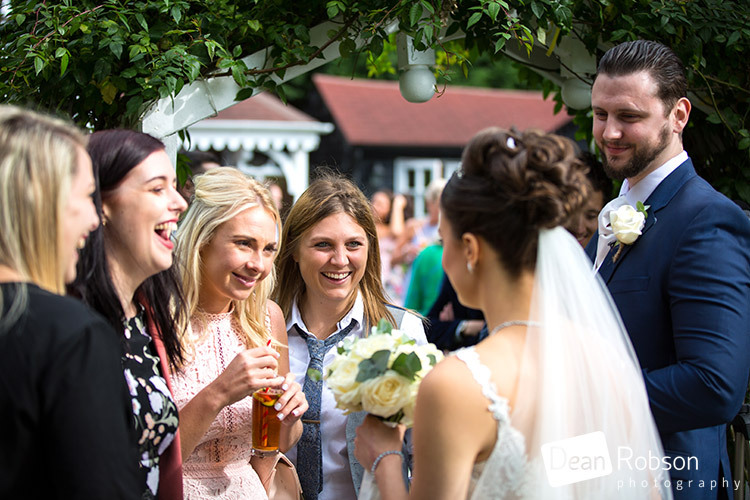 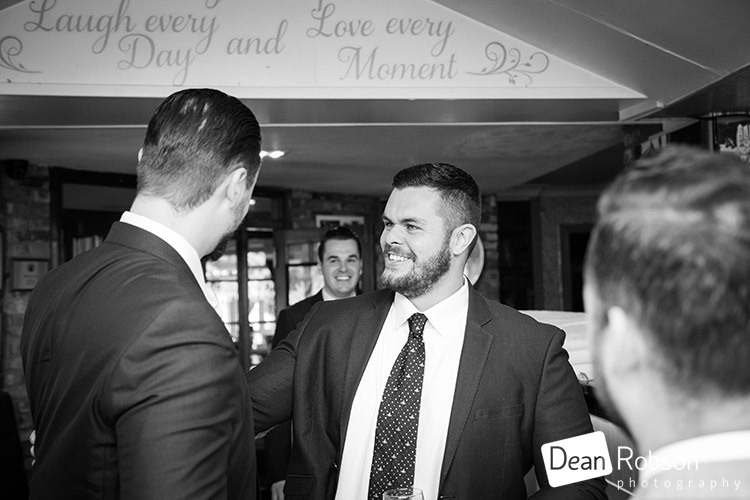 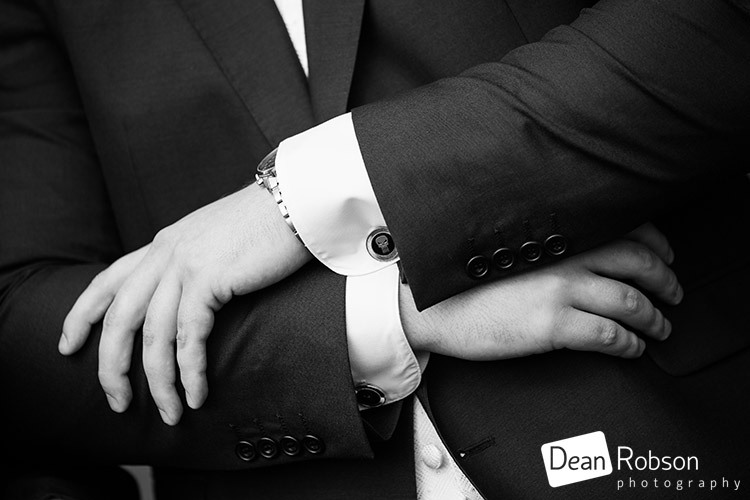 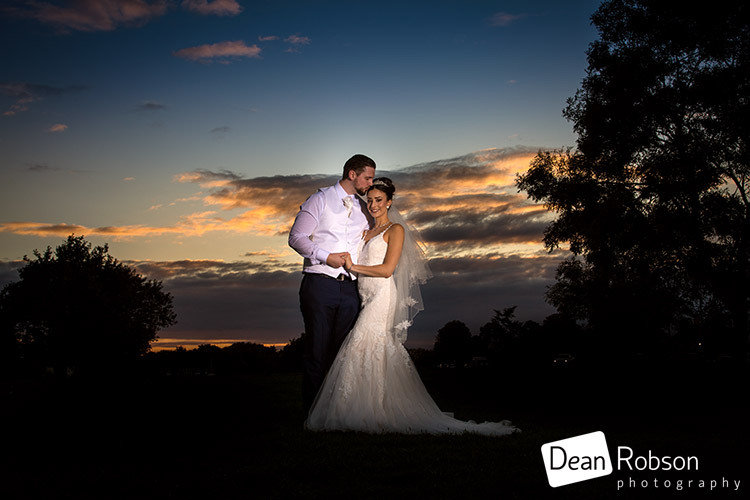 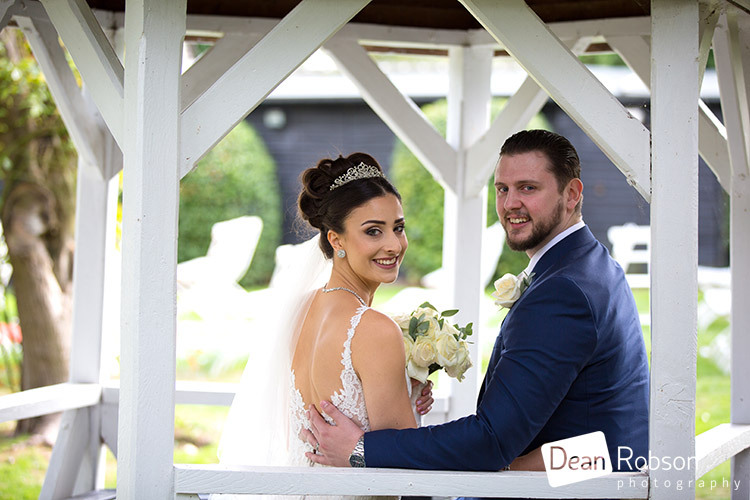 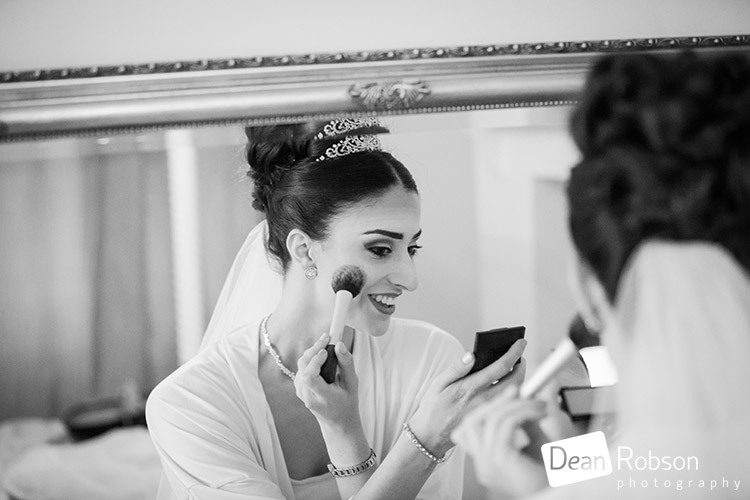 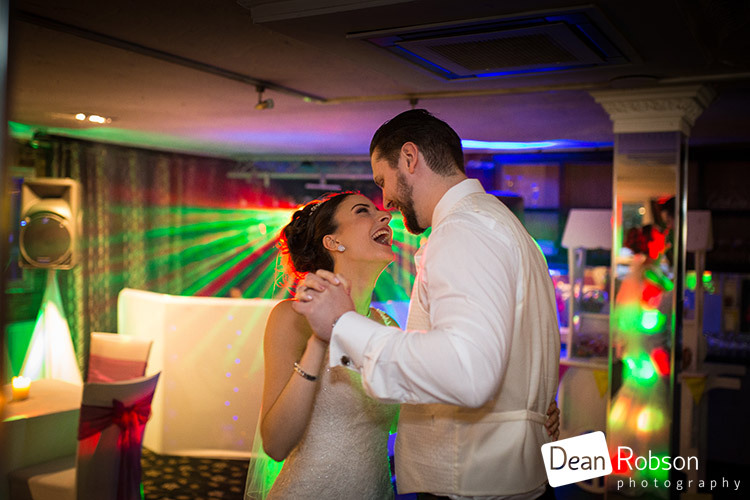 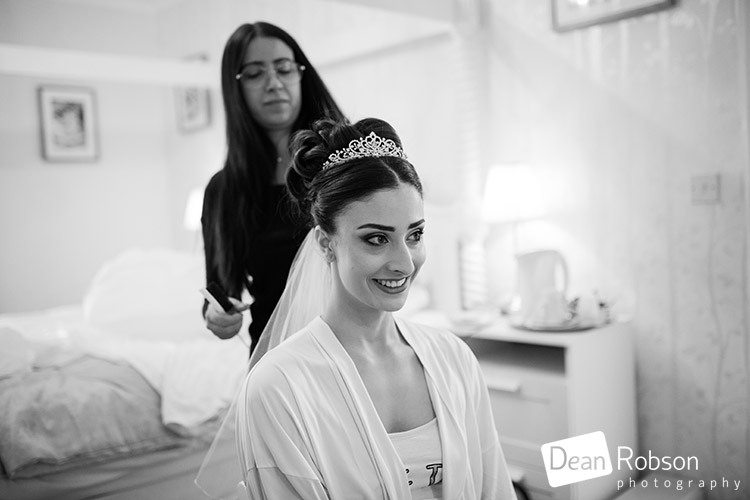 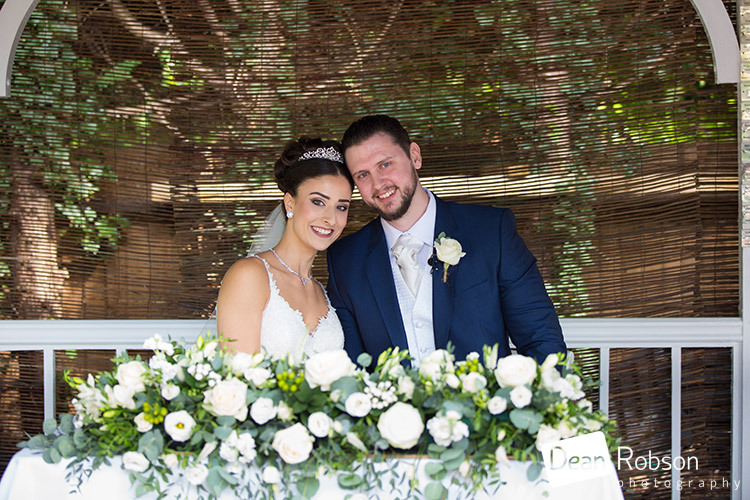 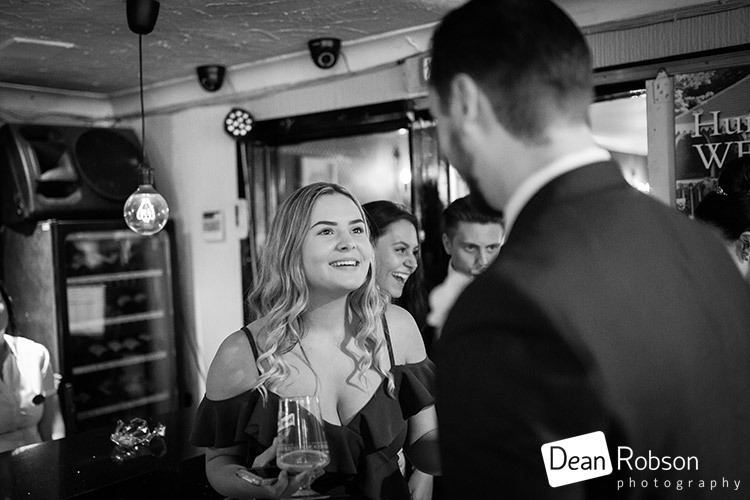 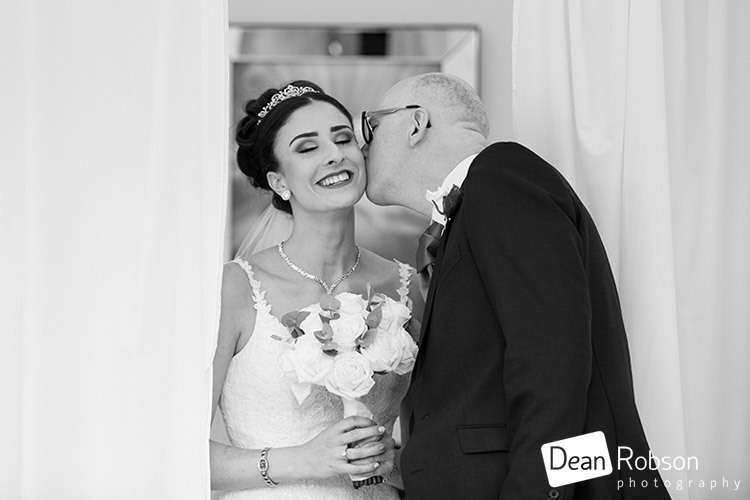 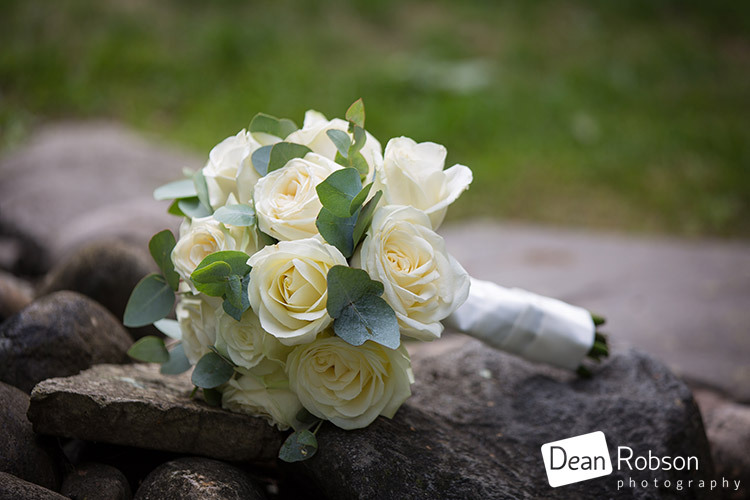 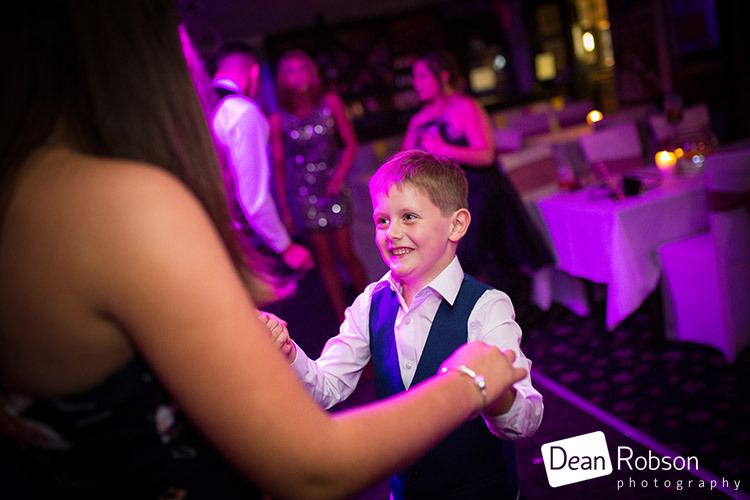 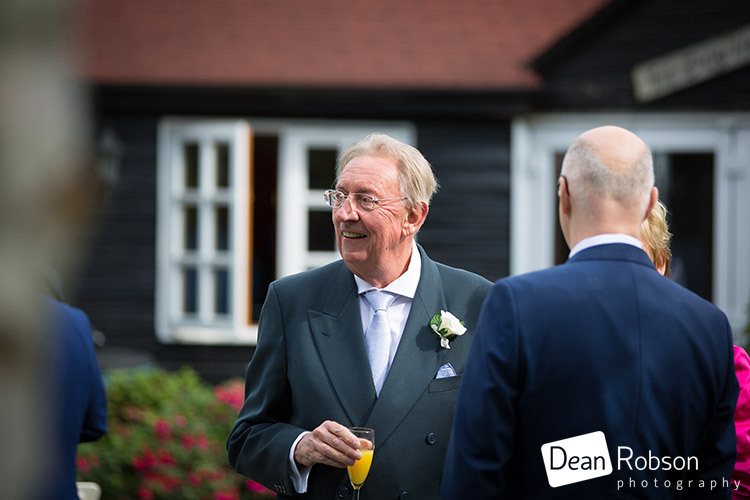 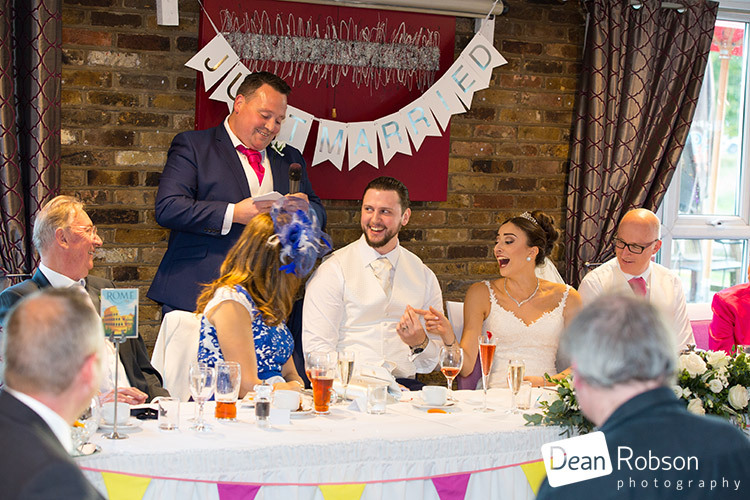 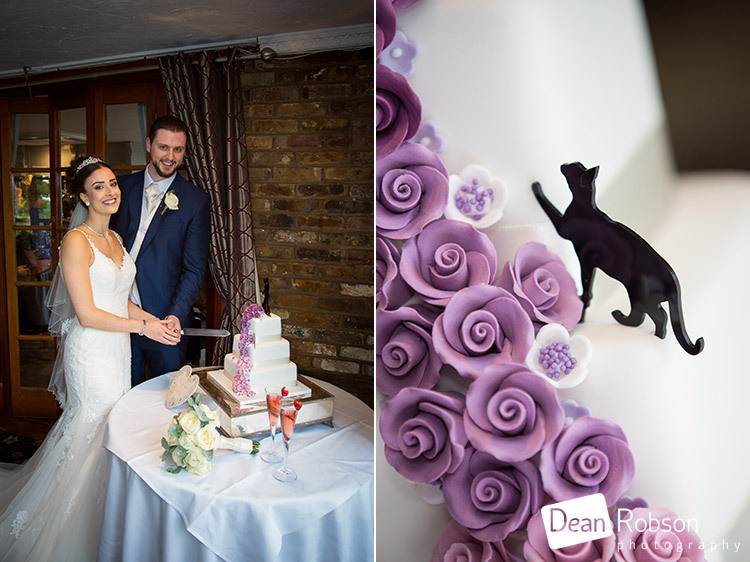 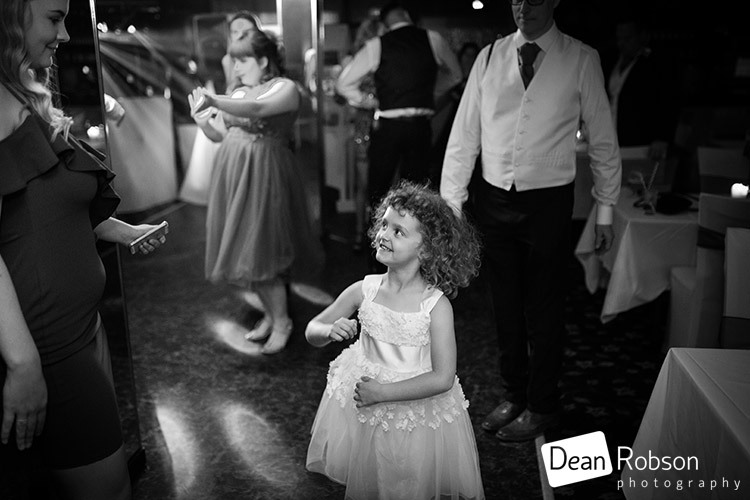 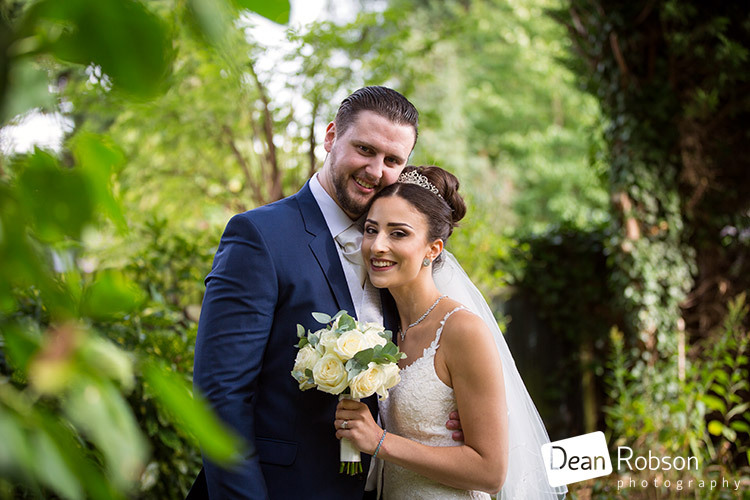 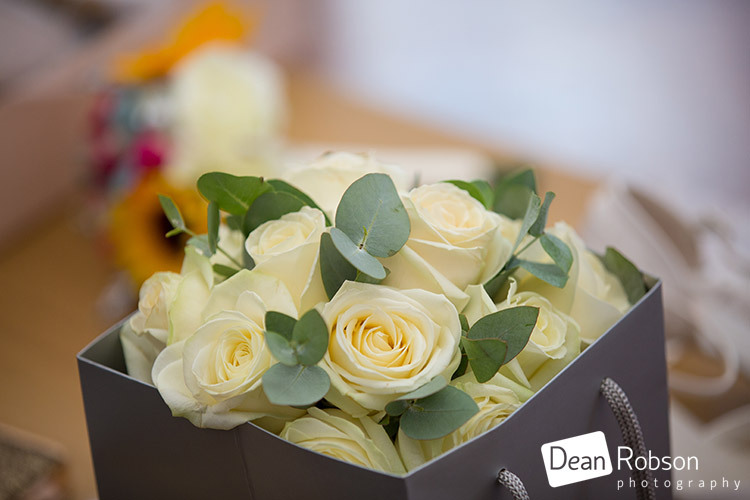 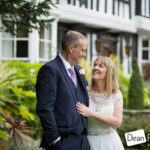 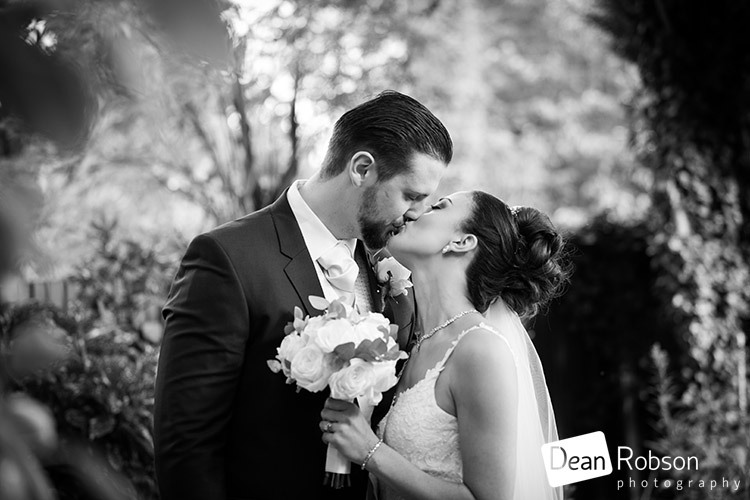 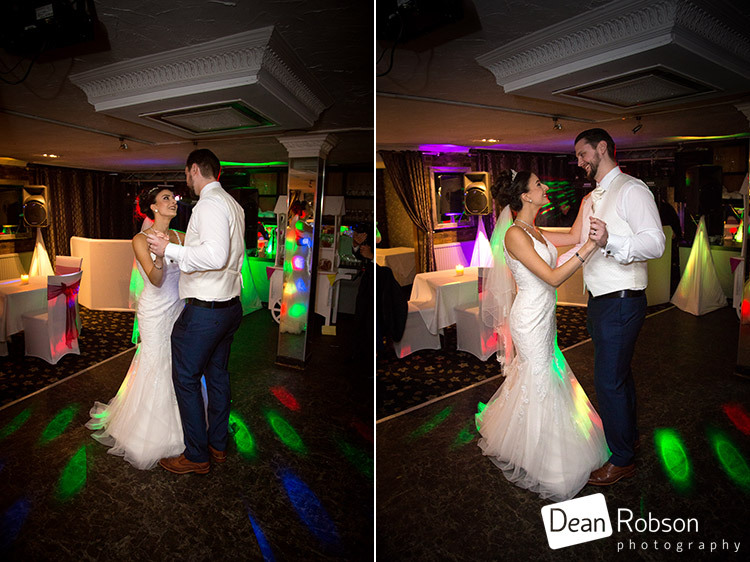 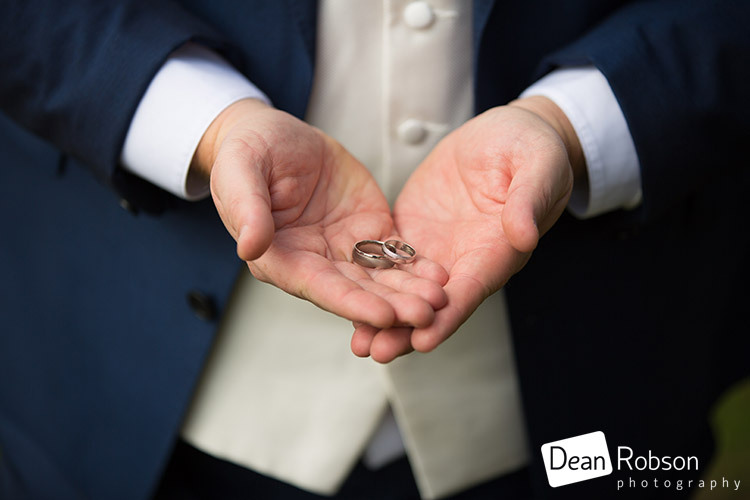 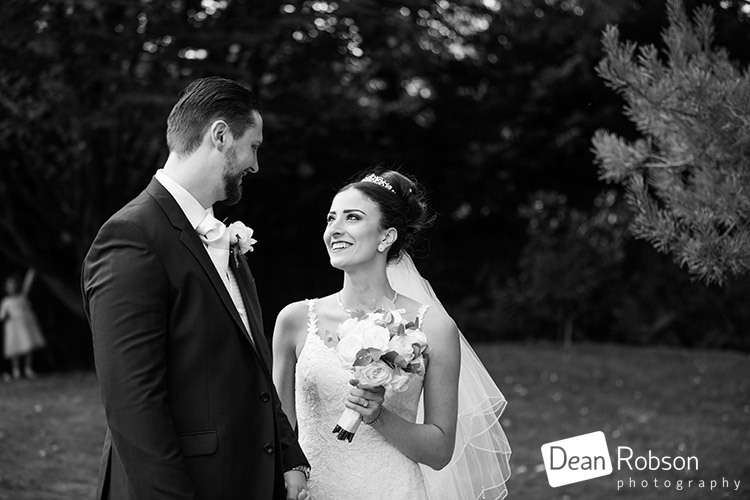 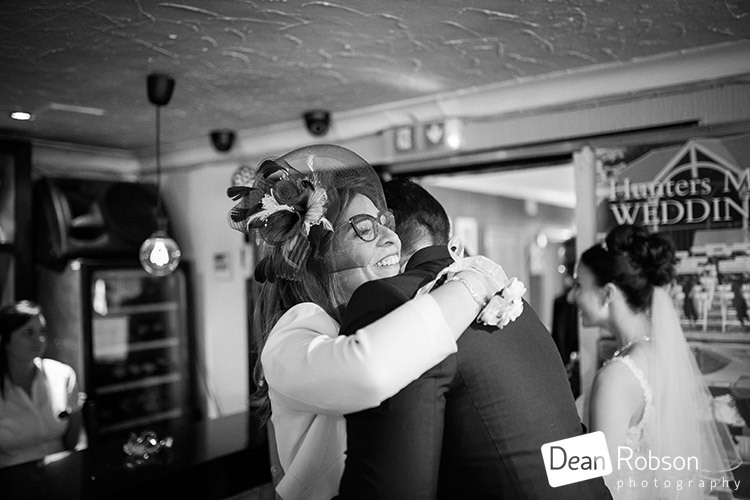 By Dean Robson (Blog feature written September 2018) – Qualified and Professional Wedding Photographer based in Sawbridgeworth – Hunters Meet Wedding Photography Autumn by Dean Robson Photography Natural Wedding Photography for Hertfordshire and Essex. 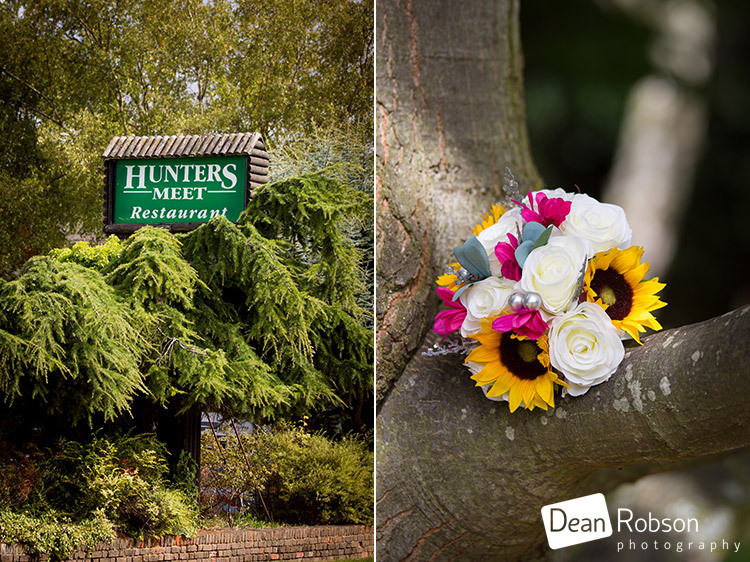 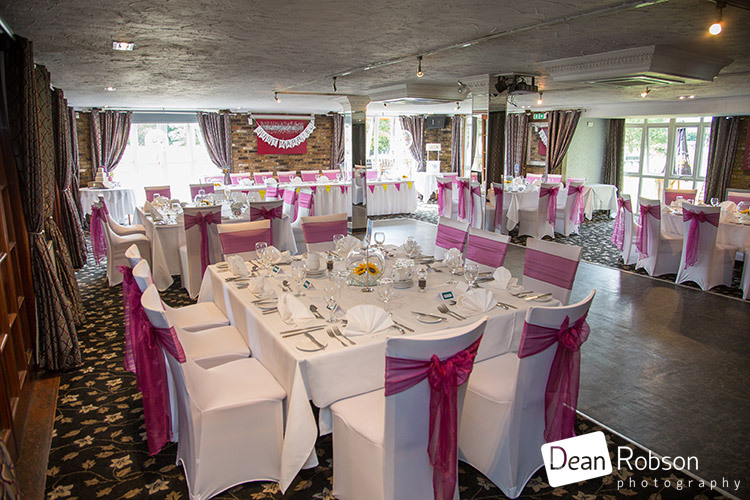 Hunters Meet is a venue where I am a recommended supplier.